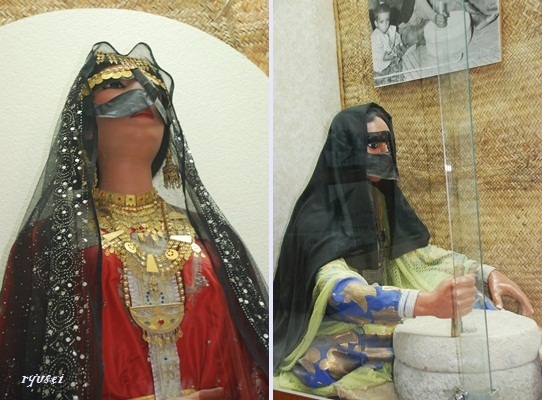 The Ethnographical Section of the museum displays the pre-oil history of the country, many aspects of which have completely disappeared, and the exhibition includes a fascinating collection of black and white photographs from the 1960s. A series of dioramas illustrate the diversity of everyday life with examples of traditional educational methods and children’s pastimes, household items and weaving looms and medical instruments and techniques. The costumes and jewellery section contains a Maria Theresa dollar bearing the date 1780. These coins were used both as currency in South East Arabia and as ornaments. Necklaces made of Maria Theresa dollars interspersed with silver beads were popular with young girls. Farming methods and agricultural tools are well documented, and this section even contains a genuine well, some 15 metres deep, that existed on the site before the museum was built. Fishing and pearl diving, practised in the Gulf region for thousands of years, are also well represented. 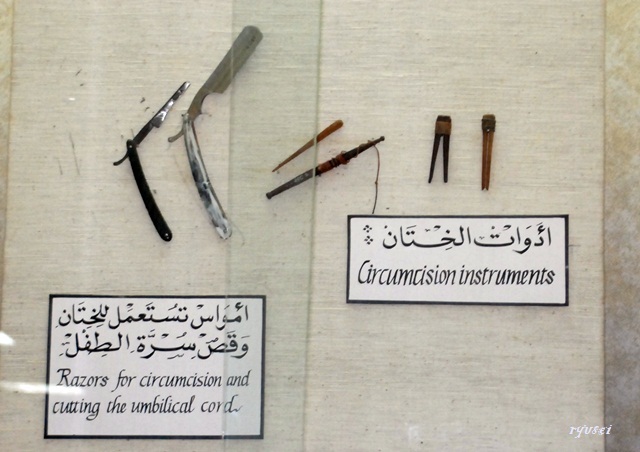 Traditional musical instruments and art forms are also exhibited; of particular interest are two religious books from the 17th century and six copies of the Quran, all skilfully illuminated. There is also a display of weaponry and detailed information on the sport of falconry. 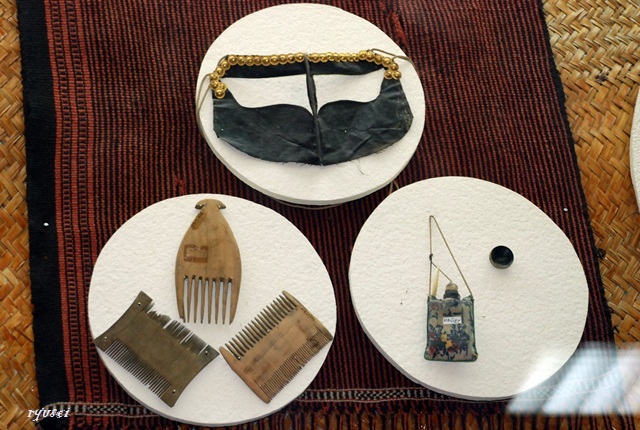 One small wing of the museum contains gifts presented to HH the late Sheikh Zayed Bin Sultan Al Nahyan. The Archaeological Section contains finds from the Stone Age through to the Islamic Period. The oldest discoveries testify to human occupation nearly 7,500 years ago and include flint tools, stone scrapers and fine arrowheads. Funerary artefacts, such as pottery, stone vessels and copper objects, have been found in collective graves at Hili and Umm an Nar and reveal the extent of trading activity with countries such as Mesopotamia, as long ago as 5,000 years. メモ（３）Locally-made and imported necklaces, pendants, axes, daggers, swords and many other objects, dating to between three and four thousand years ago, have been unearthed at Qattara. Ancient settlements and graves from the Iron Age have given archaeologists evidence of sophisticated industries producing fine bracelets, bangles and anklets made of bronze. 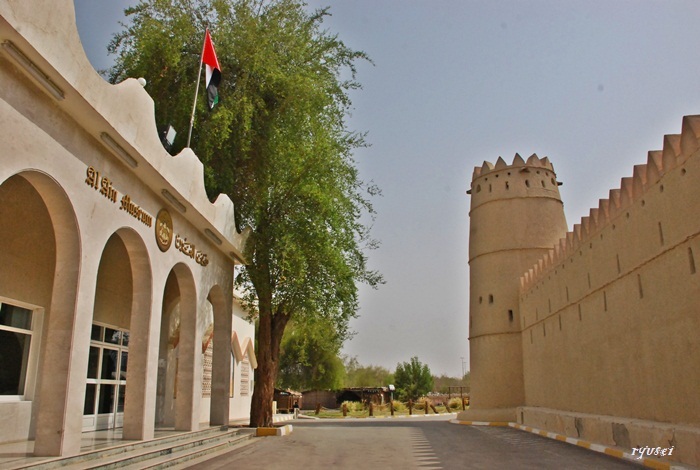 A separate exhibit explains the history and construction of the falaj. This ingenious system for managing water using subterranean channels was first introduced into the region during the Iron Age. Pottery found in the Northern Emirates, widely used around the 3rd century BC, clearly demonstrates the contrast between these early periods and the Hellenistic Era. 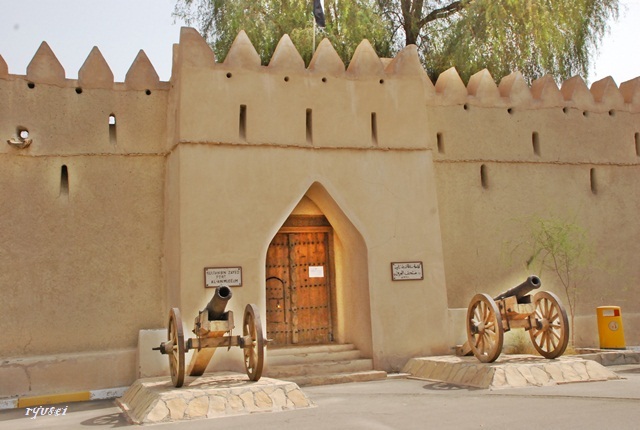 Coins of different ages are also on display: a hoard of some 300 silver coins, minted in the mid- to late 17th century, were accidentally discovered in a small jar near Al Ain. 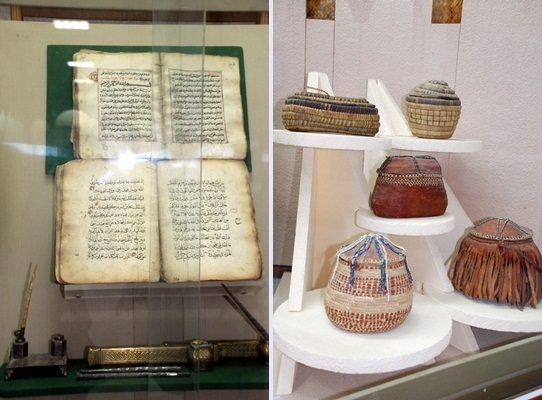 Other exhibits include local pottery from the Islamic Period, porcelain imported from 中国 several centuries ago.